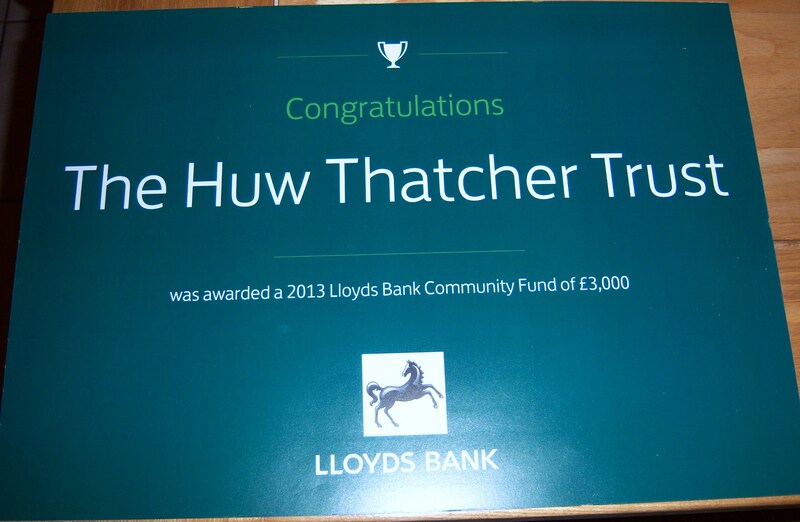 In September, I asked Huw’s friends and family if they would be happy to vote to help secure a donation from the Lloyds Banking Group Community Fund for The Huw Thatcher Trust. I am delighted to be able to tell you that the Trust received over 1,000 votes and came second out of four in the Kirklees voting, and therefore received a donation of £3,000 (the 3rd and 4th places received £300). It means so much that so many people voted for Huw – against much larger and well known charities. Thank you to everybody who voted. I should have known enough people would vote for Huw. People always vote for Huw just like they did for him in the Huddersfield Examiner Community Awards earlier in the year, and other votes in previous years. I would also like to say thank you to Anne for nominating the Trust in the first place via Lloyds-TSB. Anne is the Mum of one of Huw’s oldest and closest friends. Also of course thank you to Lloyds-TSB for this fantastic scheme. On another note, but to me equally important, I am pleased to say that I completed the Bedford Half Marathon today – in 1 hr 59 mins and 21 seconds on a course by no means flat (although not as bad as Conwy). I am delighted I managed this time. It was a close run thing to get under 2 hours and I couldn’t have taken much more time off that however hard I had tried. 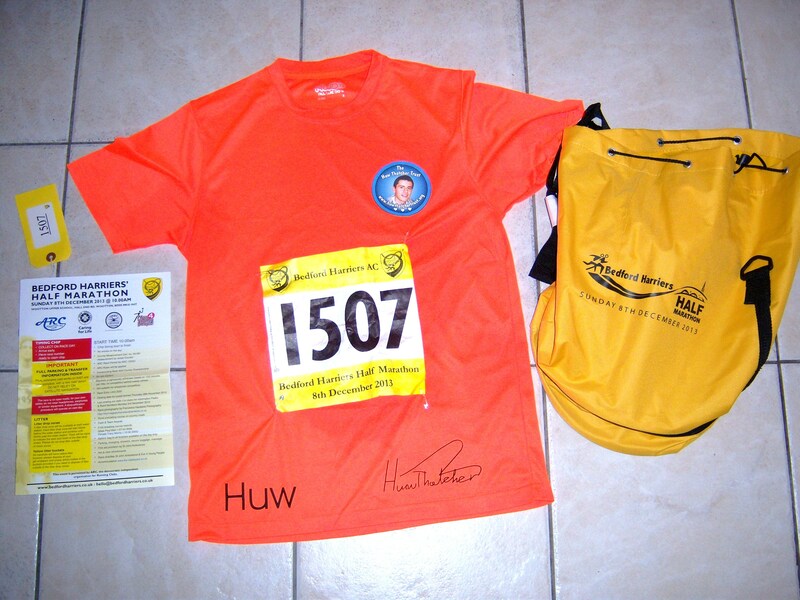 I couldn’t quite manage to break 2 hours for Huw’s 18th birthday 2 weeks ago at Conwy like I said I would – but I did it today – with Huw’s name on my back, his picture on my chest, and his love in my heart. It was just you and me today Huw, on our own down in Bedford. I can’t give you a birthday present like I used to, but I can still stick to my word, and give everything in your name. Never giving up on you Huw………….just like the hundreds of people who voted for you last month.